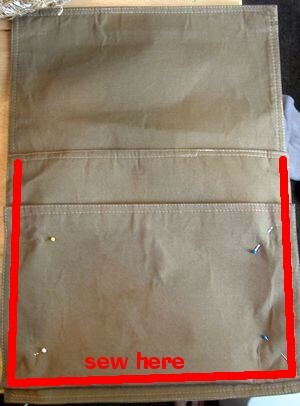 This super simple project will take you about 15 minutes to sew (plus about an hour if you want to cut a stencil): a Placemat Mail Sorter. Mine is made to hang from a sash rod on a bulletin board (project forthcoming! 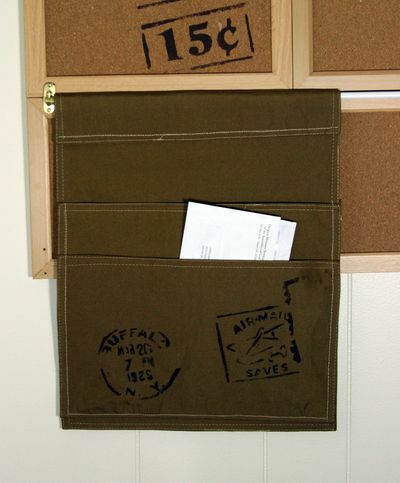 ), but you can hang this mail sorter just about anywhere. I’m going to put my bulletin board and mail sorter next to the front door to encourage everyone to keep the mail in one place (instead of randomly placed around the kitchen! Ahhh! Where’d my bills go??) This is the first of a couple placemat crafts I made for our Placemat Challenge. Check this tutorial for how to make a stencil. Download the postmark stencil template here. 1. Lay first placemat on table. 2. Fold second placemat with about two inches showing on one end. 3. 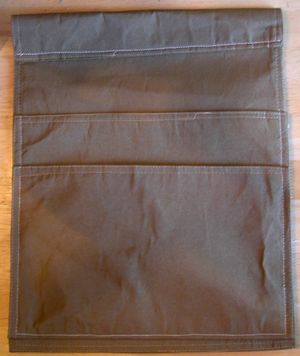 Pin as shown, with shorter side facing up, to first placemat. Sew around edges of second placemat. Be sure to backstitch at the tops and bottoms of each flap to add extra security. 4. 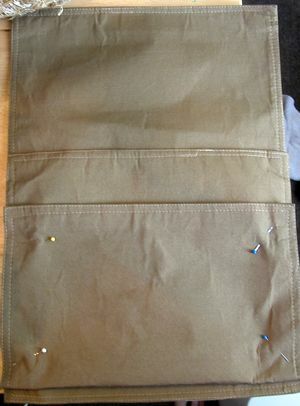 To make a pocket for a sash rod at the top of the sorter, fold the edge over about 1-1/2″ and sew across. If you don’t want to hang it with a rod, adjust to suit your preferred hanging method. I love this! 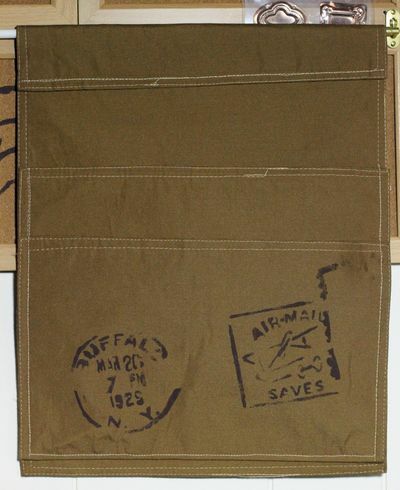 — Especially that postmark stencil! I adore this! I have been looking for a good mail sorting option. I love the stencils! How very clever. And the stamp is so awesome! This is great! Sounds easy and affordble! This is a great organization project. I tried something very similar with an old pair of denim jeans and a piece of cardboard. Great minds think alike! I love your projects.